Kenny Merriken likes to say he’s alive today because of the grace of God. 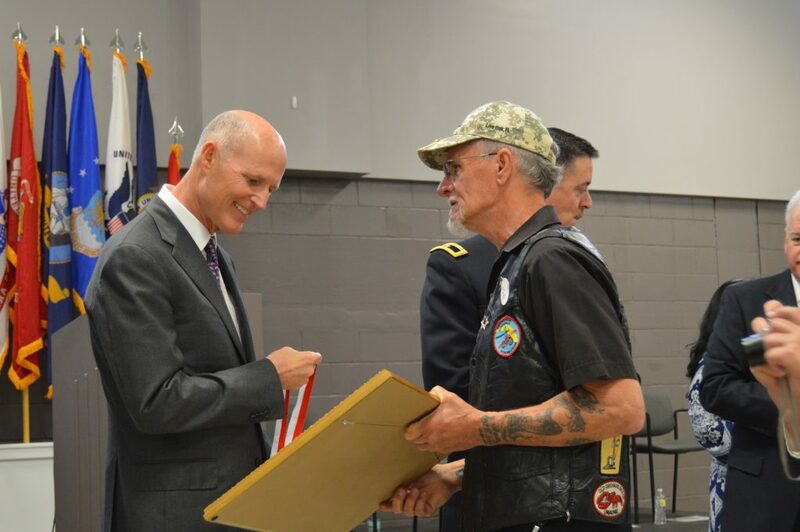 On Monday, as he accepted the Governor’s Service Medal from Florida Gov. 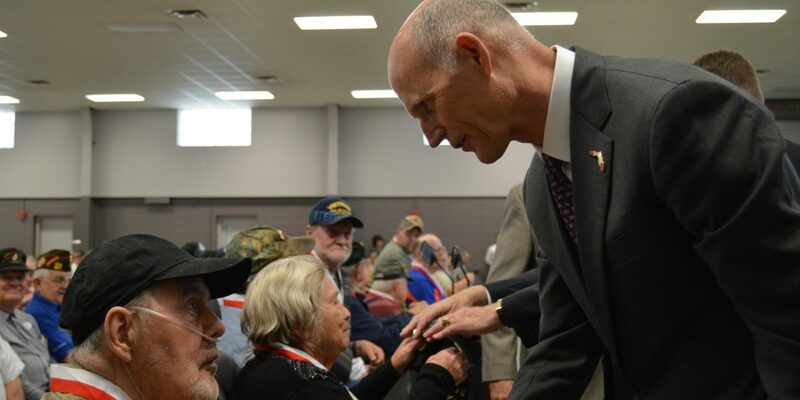 Rick Scott, he thought about the four years he served during the Vietnam War and the support he received when he came home from serving four years in the Navy. 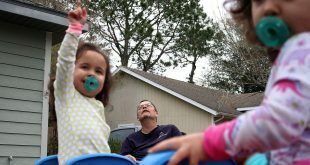 At 68, Merriken has lost the ability to walk, but with the help of the Department of Veterans Affairs and its rehabilitation facility in Lake City, he said he was able to make it out to Live Oak, where he and 238 other veterans received the medal for their service. 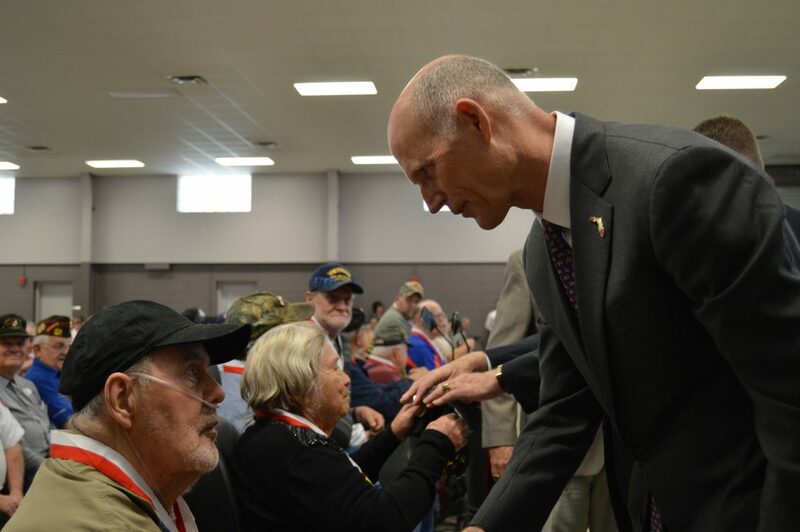 About 300 veterans and their family members attended the ceremony hosted by the Governor’s Office and the Department of Veterans Affairs, held at the National Guard base in Live Oak. Steve Murray, communications director of the department, said about 10,400 medals have been given to veterans in 35 cities since 2013. The turnout of the event had surprised them, he said, adding that despite the 275 chairs put out, some people were left standing. 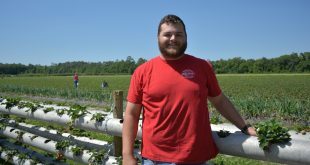 “We just couldn’t believe the wonderful turnout,” he said. As some veterans lined up to receive a medal from Scott, Art Berrigan stood among them, cradling a photo of his father, who served in the Navy, and his platoon. 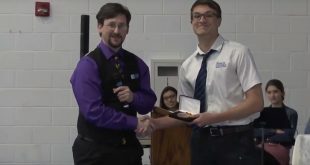 He shook Scott’s hand, telling him he was there to accept the medal on behalf of his father. “It’s a good thing you’re doing,” Scott told him. Edward Berrigan died in 1969 from cancer, so Art had called the governor’s office, in hopes of being able to receive a medal to honor his father’s service. 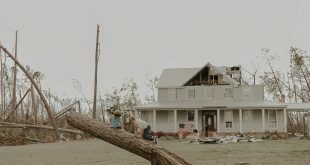 On Monday, with tears in his eyes, the 68-year-old Live Oak resident said being able to accept it for his father meant a lot. Art Berrigan said he tried to enlist, but was denied because of a stomach ulcer. Instead, he joined the Sons of The American Legion and continues to honor his father’s service. Scott, who served in the Navy, said the award was a way to show his thanks to those who served. “I want them to know that they’re appreciated,” he said. For Merriken, being surrounded by veterans from World War II to the Vietnam War and receiving the award was humbling. “It’s like watching living history,” he said. He remembers coming home after from overseas to a big white banner in the window of his home. “Welcome home,” it read. His heart pounded. After losing a friend in the war, and nearly losing his own life, he said he almost lost all hope of living. But by the grace of God, he said he was alive to see today. “Whenever I see a Vietnam veteran, I say ‘welcome home, I’m glad you came back in a seat and not in a box,’” he said.